Seven international press freedom and human rights organisations, led by the Media Legal Defence Initiative, have called on experts at the African Commission and the United Nations to address the arbitrary arrest and detention of nine Ethiopian bloggers, journalists and human rights defenders. Befekadu Hailu, Atnaf Berahane, Natnael Feleke, Mahlet Fantahun, Zelalem Kibret, and Abel Wabela are members of a group known as “Zone9”, an independent blog that identifies itself as “an informal group of young Ethiopian bloggers working together to create an alternative independent narration of the socio-political conditions in Ethiopia.” Zone9 is a popular social media platform, which has been emerging as one of the leading spaces for campaigns on freedom of expression and constitutional rights. The six were arrested at their offices and in the street on 25 April, afters which their homes were searched and the police confiscated private laptops and literature. Freelance journalists Tesfalem Waldyes and Edom Kassaye were arrested on the same day and journalist Asmamaw Hailegeorgis of Addis Guday newspaper was arrested one day later, 26 April. 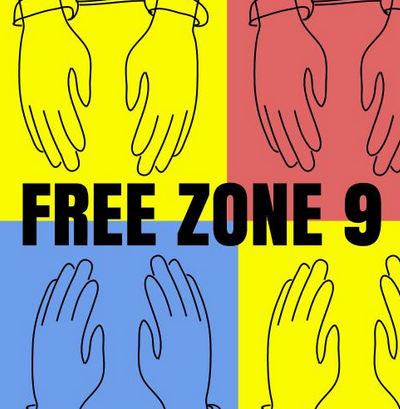 Free Zone 9 bloggers campaign image. Created by Hugh D'Andrade, remixed by Hisham Almiraat. All nine bloggers, journalists and human rights defenders have been taken to the notorious Maekelawi prison, where they are being held incommunicado. Family members have been allowed to leave food, but the the activists have been denied access to legal counsel. No formal charges have been filed against the bloggers and journalists so far, but the majority of journalists and human rights defenders jailed by Ethiopia over the past years, including Eskinder Nega, Reeyot Alemu and Woubshet Taye have been charged under the 2009 Anti-Terrorism Proclamation, a sweepingly broad piece of legislation that has been used to target and jail numerous human rights defenders and dissenting voices in the country. The Media Legal Defence Initiative, East and Horn of Africa Human Rights Defenders Project, CIVICUS, Global Voices, PEN American Center, Committee to Protect Journalists and Electronic Frontier Foundation filed an Urgent Appeal with the Special Mandates of the African Commission and United Nations Human Rights Council, requesting they intervene to secure the immediate release of the nine human rights defenders. In their letter, the organisations argue that the arrests and detention of the Zone9 bloggers and journalists due to the peaceful exercise of their right to freedom of expression is in violation of Ethiopia’s obligations under both the African Charter on Human and Peoples’ Rights and the International Covenant on Civil and Political Rights. Specifically, denying these nine prisoners access to legal counsel is a clear violation of their right to a fair trial. The organisations have requested the AU and UN Special Rapporteurs to help secure the immediate release of the activists and declare their arrest and continuing detention a gross violation of their human rights. The AU and UN experts have several options to address this urgent human rights violation. The African Commission, which is currently holding its 55th session in Luanda, Angola, can adopt a resolution on the matter, condemning the arrests and calling upon Ethiopia to immediately release the human rights defenders. Both the AU and UN Special Rapporteurs can request a visit to Ethiopia to carry out investigations. As a current member of the UN Human Rights Council, Ethiopia would be compelled to grant such a request, based on its obligations under General Assembly resolution 60/251, which states that Council members should “uphold the highest standards in the promotion and protection of human rights” and “fully cooperate with the Council.” The Urgent Appeal calls upon the Special Mandates to hold Ethiopia to those firm commitments.